Euthanasia Prevention Coalition Euthanasia Prevention Coalition: Swiss assisted suicide groups lobby world-wide. Swiss assisted suicide groups lobby world-wide. 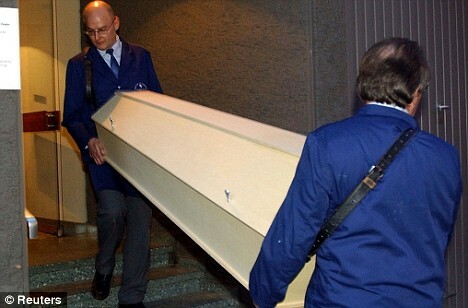 Assisted suicide is legal under Swiss law, and several organisations offer this service. As one of the few countries in the world with such a law, Switzerland sees many foreigners coming to end their lives from countries where assisted suicide is forbidden. Some Swiss right-to-die organisations take their commitment a step further, by engaging in efforts to legalise assisted suicide in other countries. Internationally, one of the most active proponents of assisted suicide is the association Dignitas, whose motto is “To live with dignity - To die with dignity"
Dignitas is not fighting this battle on its own. On its website, the similarly-oriented Eternal SPIRIT Foundation writes: "Eternal SPIRIT is committed to promoting the legalisation of assisted suicide in all countries." And the organisation EXIT ADMD Suisse Romande in French-speaking Switzerland states that through its membership in the World Federation of Right to Die Societies, it is engaged "to a certain extent" in the efforts to legalise assisted suicide worldwide. By and large, the media in countries where Dignitas has been active do not yet seem to have picked up on the organisation’s lobbying activities. This may be because much of it was conducted quietly and out of public view. Indeed, all of Dignitas' activities – except the Berlin poster campaign – tend to fly under the radar. The international efforts of Swiss right-to-die organisations seem to be showing some initial success. Dignitas is proud of the "positive developments in various countries in which Dignitas was involved" and lists a few examples. Canada abolished the ban on assisted suicide by court order in 2015. 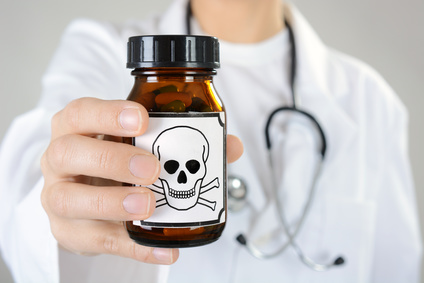 In a 2017 case brought before the German Federal Administrative Court, it ruled that in exceptional cases, patients should have the right to a lethal drug for the purpose of suicide. In Australia, the Victoria parliament voted for the "Voluntary Assisted Dying Bill" this year. It is very irresponsible for governments to take the reports of the assisted-suicide lobby seriously when examining the question of legalising assisted death in their jurisdictions. This quote was made in reference to the fact that the reports from jurisdictions where euthanasia and assisted suicide are legal are designed to lack data concerning problems and abuses of the law. These reports are based on self-reported data gathered from doctors who do euthanasia. It is important to know about the involvement of the euthanasia lobby promoting legalization world-wide. There is currently a big push, in many US States, as well as New Zealand and Australia, to legalize assisted suicide. This push is linked to a co-ordinated effort and the Swiss assisted suicide groups are involved in this effort. Will assisted suicide of children come to the US? Euthanasia activist charged with a third murder.